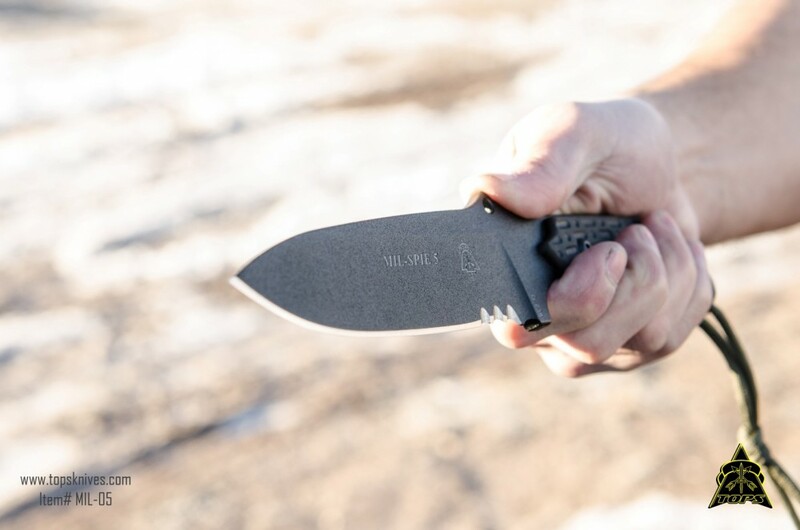 TOPS Knives is often approached by individual OPERATORS who advise us of their ideas and the criteria that needs to be met for their Unit or Team. 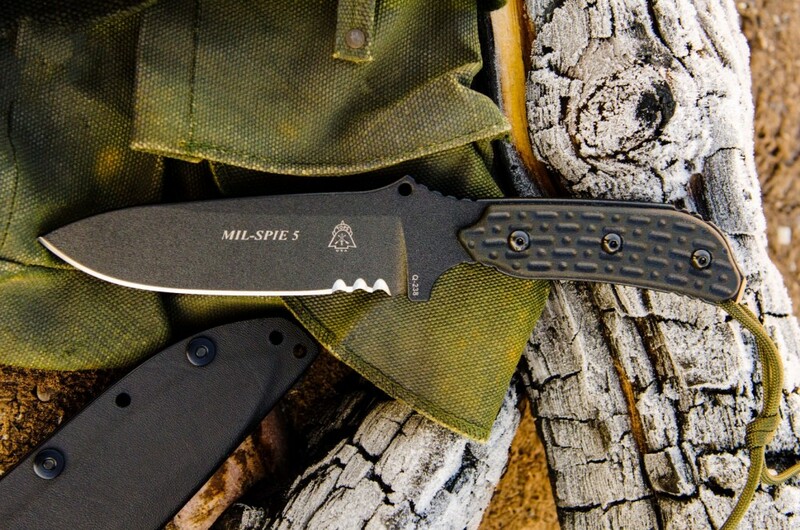 The name Mil-SPIE is an acronym that the DOD came up with several years ago. It stands for (Military-Special Projects Individual Equipment) Pronounced "MIL SPY"
This was to enable Special Operation Forces within the Military to help developed, test, evaluate, and acquire "out of the ordinary" and "outside of normal channels" items that they require. 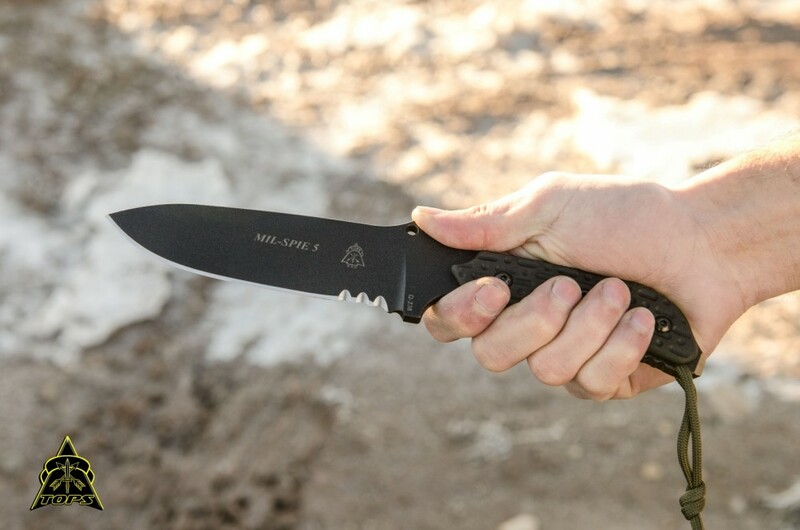 TOPS Knives is often approached by individual OPERATORS who advise us of their ideas and the criteria that needs to be met for their Unit or Team. 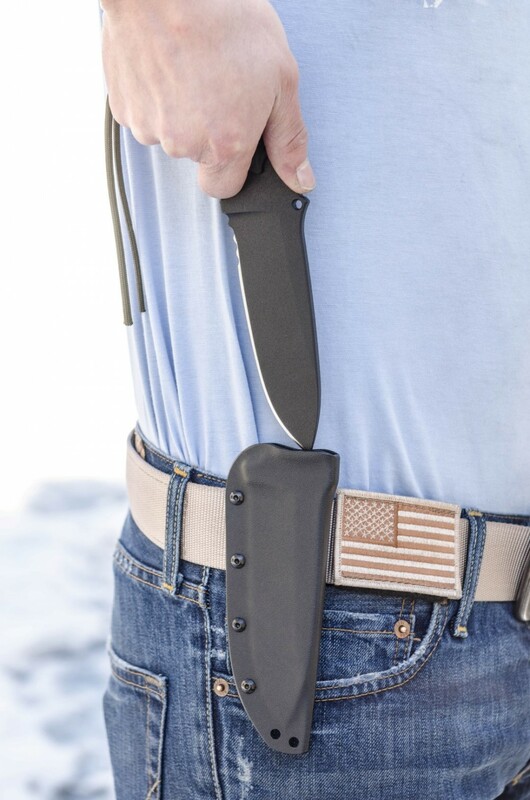 This challenge was to develop a small and a large field knife with a fairly narrow carrying profile. It had to be strong and lightweight. With this criteria in mind we created and named the Mil-SPIE Knives. Two sizes were developed: Mil-SPIE-3 and Mil-SPIE-5. 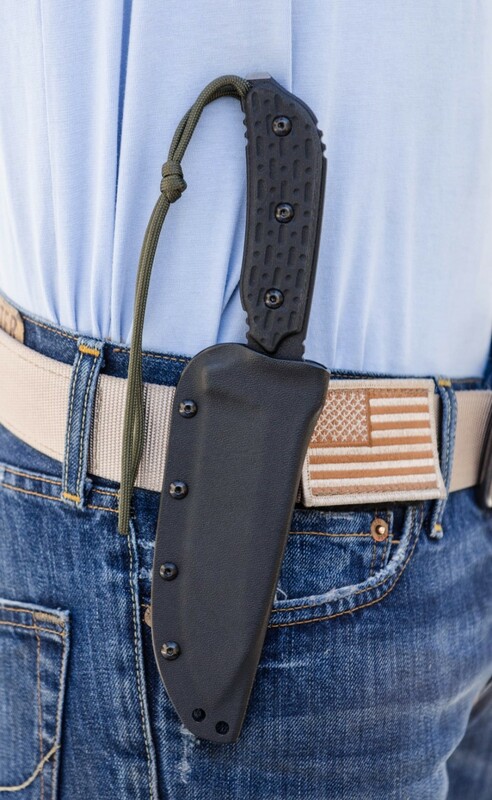 This model is more adept for belt or vest carry, while still maintaining a low profile. 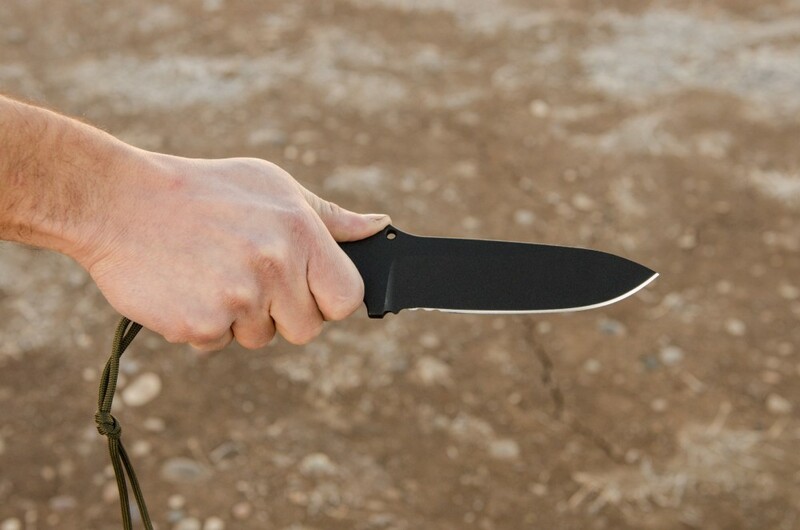 The scales are black linen micarta with our dot dash dot pattern embedded in the handle. 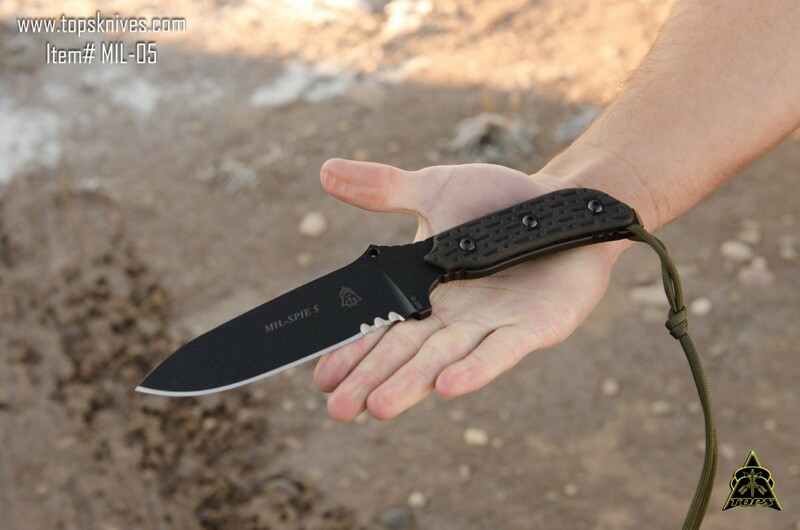 The handle scales are removable and the skeletonized knife is just as popular as the one with handles. The blades are coated with our black traction coating. 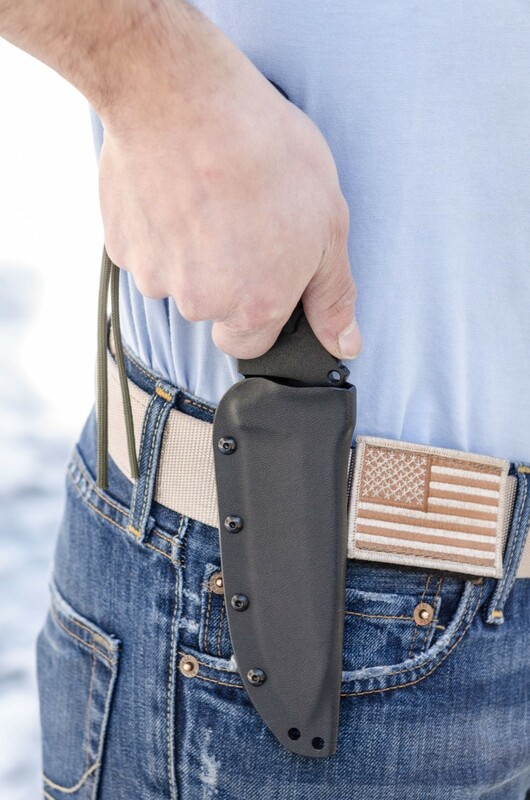 The sheath system is heavy duty kydex, which locks the knife in place in the closed position and has a spring steel clip for attachment in a variety of positions.